1) Could you give us a potted history of your knitting, designing, tech editing and teaching background? How did these all come together? “The story is that I have always been a knitter – my granny taught me how to knit. In high school I didn’t do any knitting but I did a lot of sewing and used to make lots of my own clothes. For reasons that are silly I completely dropped it and studied mathematics at uni. I did an undergraduate degree in pure mathematics which is the least practical thing I can think of and I worked in the technology industry for a number of years. As soon as I finished uni though, I had time on my hands and I happened to be living close to the largest yarn shop in Canada at the time. My course was very intensive and I didn’t have a lot of time on my hands, but afterwards I started looking for things to do. I wandered in on a Sunday and thought “oh! I know how to knit…” and never really looked back. I picked it back up with a scarf and went from there. I remembered that the family-lore was that my Gran was a big sock-knitter so I thought I should try socks. This particular shop has a big wall of what I call “engineered” sock wool – so Regia, Opal, Lang – and they are all perfect balls, lined up on the wall, feet and feet of them, all so tempting, wild and random! So I started buying those sock yarns and never looked back. At first I was just knitting at home, sort of a secret knitter. I remember once I was given tickets for a baseball game and I found it mind-crushingly boring. I was trying to assimilate the Canadian lifestyle and thought I should learn a bit about the culture, but unlike cricket there’s no cream tea! I had my knitting with me but was hiding it away in case people thought I was strange! But eventually I started knitting on my commute and one day I rushed into work for a conference call and just left my knitting on my desk. A colleague came into my office later and said “Ooh! You’re a knitter!” and at first I tried to hide it away, but he said “my girlfriend’s a knitter” – and the fateful phrase – “she’s thinking of opening a yarn shop!” So he introduced us by email and we got together for coffee, and – have you ever in life found yourself saying something that you didn’t know you wanted to say? I said “ooh I’d love to teach!” – and I have no idea where those words came from! So I started teaching classes at this new yarn shop and quite literally that kicked the whole thing off. I started teaching classes, designing with the yarns in the shop – it was when I first met Noro yarns and indie-dyed yarns and really fell in love. This was in around 2001. Then I got connected with a yarn company in Toronto and started designing for them – at first they asked me to translate some Italian and German patterns to the North American standards, which at the time I had no idea what I was taking on as it involved grading, editing, taking traditional European patterns which essentially say “Here’s a jumper in one size. Have fun!” Later I met Amy from Knitty as she went to one of the same knit-nights in another shop in Toronto. I started tech editing for socks as I’ve always been a sock knitter, but as I started knitting more things I started editing more things. And slowly I grew the whole lot – tech editing, writing books, teaching classes, designing. I think the thing that makes me who I am – which sounds terribly pompous – is that I do all those things. I think I’m a better designer and editor because I teach classes. I think the most powerful class was one that I taught for seven or eight years, which was the Project Class. Really it was just a guided workshop in that people would come working on whatever they were working on, and I would just have to be the floating expert and help them with whatever they were working on. So I wasn’t directing the class. Occasionally I would take the opportunity to give a lecture about something, but mostly it was the knitters just asking me specific questions about the project. 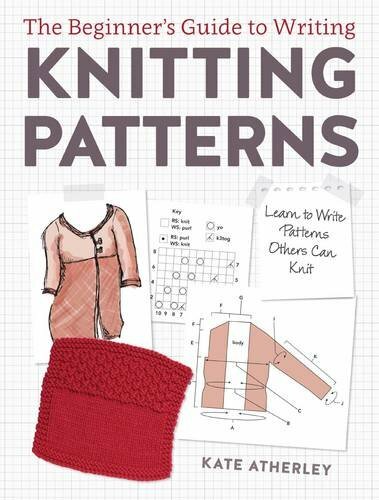 Through this, I got very familiar with what patterns did, said and asked, and very familiar with what knitters did and wanted, and what were stumbling blocks for them. 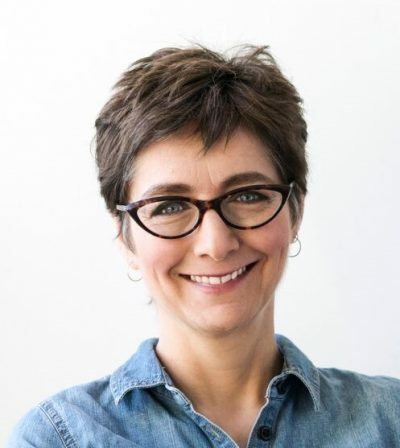 I love teaching and would never want to give it up, because I think it’s an important way of staying in touch with the realities of knitting and knitters. And that feeds what I do as a technical editor, because I can say to someone “I think that you need to expand this because that’s a question that comes up a lot”. I can say “I think we need to give more detail here”, or “this might be a point of confusion”. 3) When you have a design idea, do you always work to a set workflow (eg swatch-knit-chart / chart first then knit) or does your approach change with each design? Similarly, with tech editing, do you have a set workflow or does that vary from client to client? “Hmm interesting! When I’m designing, I try to do a fair bit of the thinking and planning up front, because frankly it’s quicker. The knitting is slower so I try to plan as much as possible in advance. The first thing I tend to do is to go to a stitch dictionary first, and it all gets charted in Stitchmastery even if it’s charted in the book, because I want to be able to play with it and modify it, and be able to see multiple repeats placed together. I’m always playing with stitch patterns – “what if we put in an extra purl column there?”, “what if we change the repeat size?” – and so I do a lot of sketching in Stitchmastery. Any folder I have for a design has multiple versions of charts in the beginning stages. Of course you swatch and then knit and then change it all! “It is honestly the best thing I’ve encountered. When we evaluated it for Knitty, the existing software hadn’t really been maintained and wasn’t particularly sophisticated. Up until I really got to know Stitchmastery, I was really happier charting in Excel as it gave me more flexibility. Stitchmastery is immensely powerful – when I realised it could check to see if I had the right number of increases and decreases, I fell off my chair! My life had been made! I don’t know if that’s my single favourite feature but I’ve got to say it’s up there. It’s not just about the sketch of seeing how the pattern stitch aligns, it’s a meaningful tool to help me check the chart, whether it’s my design or a tech editing client’s, saving me having to count everything. I’d say that’s my favourite sophisticated feature. As for anything I wish it did… I don’t know how you would make this happen, but I would love more control over the border lines when I’m copying things. There’s probably stuff I don’t know how to do yet – it’s so powerful. What’s stonkingly obvious to one person is not for the next. 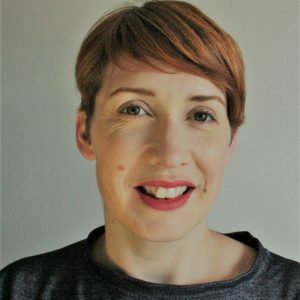 You can find out more about Kate’s work at http://kateatherley.com/ and find her on Instagram as @kateatherleyknits. 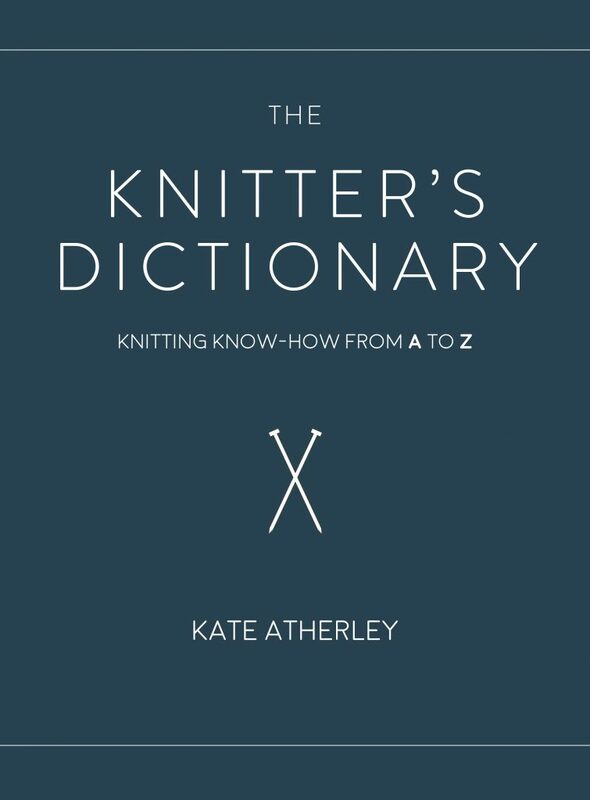 Two of her recent books are pictured below – The Knitter’s Dictionary and The Beginners Guide to Writing Knitting Patterns.